While the popular press talks of stress as a negative to be avoided, seasoned managers know better. If you’re trying to drum up new business, get a customer’s order out on time, or hit your numbers for the quarter, a little stress goes a long way. It’s even more important when you’re trying to transform your business or revitalize a sagging culture. That’s when you need enough stress to motivate action. 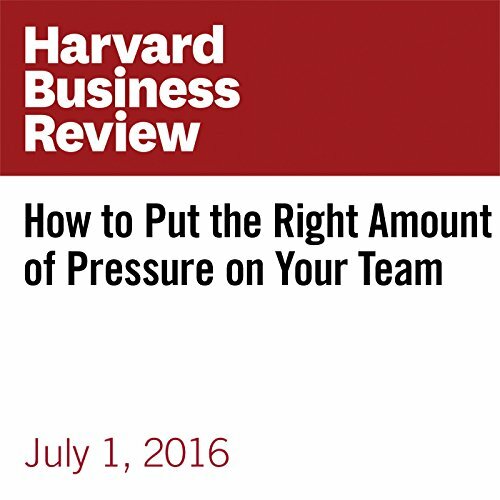 "How to Put the Right Amount of Pressure on Your Team" is from hbr.org, published on July 1, 2016.